Mix Keto Butter, melted butter and Monk Fruit Sweetener together. If peanut butter is too runny, place in the fridge to set for about 30 minutes. Using a spoon, take a scoop and roll out about two tablespoons of your batter with your hands to form small balls. Lay them on a baking sheet lined with parchment paper. Place in the freezer to harden for 30 minutes. While they are chilling, melt the chocolate in the microwave for about 30 seconds. Give the chocolate a stir -- it should be runny enough so you can dip the peanut butter balls in and get a good coating. 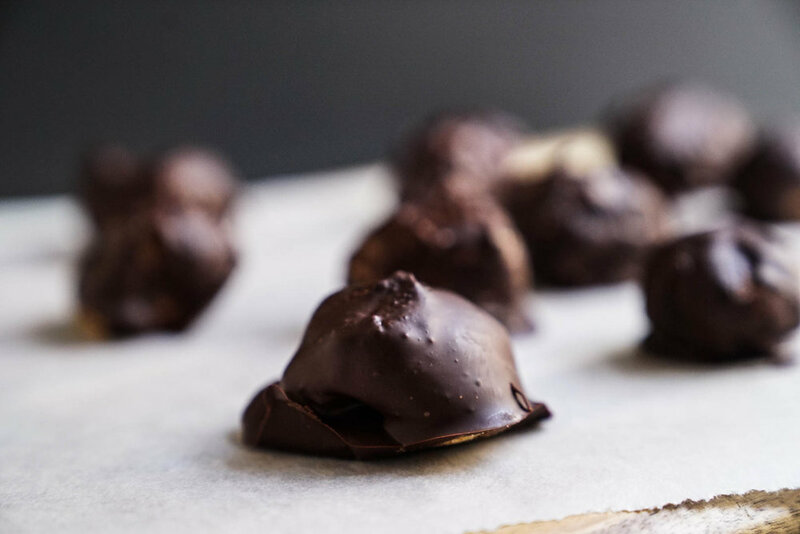 Take the balls out of the freezer and start dipping them in the chocolate until they are completely coated. Place in the freezer for an hour or two or until the chocolate layer is hard.